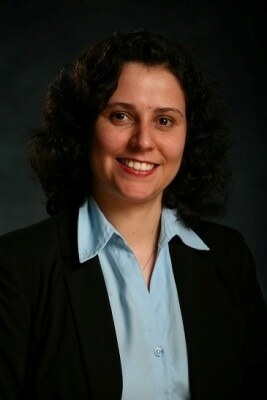 Debora Rodrigues, associate professor of civil and environmental engineering at the University of Houston, has received the 2016 C3E Research Award. Her work focuses on developing bio- and nanotechnologies to reduce energy costs in water and wastewater treatment. The Clean Energy Education and Empowerment (C3E) initiative was launched in 2010 by the U.S. Department of Energy, a way to highlight women working in the field. The initiative, an Energy Department collaboration with the Massachusetts Institute of Technology Energy Initiative and the Precourt Institute for Energy at Stanford University, holds an annual C3E Women in Clean Energy Symposium, designed to help women in the sector build professional networks. The award was announced at this year's symposium, held in Palo Alto, Calif. It recognizes her body of work, including patents, publications and her role in creating outreach programs, along with her research. Rodrigues said she was first drawn to the nexus of water and energy because of health problems associated with microbial water contamination in her native country of Brazil. But making a difference, especially in the developing world, requires solutions to be simple and inexpensive, she said. Most available water treatment technologies require several steps, which raise the cost. Reverse osmosis, for example, effectively removes contaminants but requires huge amounts of energy. "I am happy to see Dr. Rodrigues' work recognized by leaders in the energy field," said Roberto Ballarini, chairman of the UH Department of Civil and Environmental Engineering. "Her innovative work holds great promise for water treatment in the developing world, but it also offers a way to greatly reduce water and wastewater treatment costs everywhere." Rodrigues has two technologies under development, both designed to be reusable and require little or no energy. The first is a nanocomposite coating, capable of removing heavy metals, radioactive materials and micro-organisms. The second uses hydrogel polymer beads, aimed at removing nitrogen and phosphorous from agricultural runoff. Both have been licensed to a team of former UH business students, who formed a company known as WAVVE. The name comes from the first letter for the word "water" in English, Spanish, Swedish, Russian and French, the native languages of each team member. She received the inaugural Emerging Investigator Research Award from the Sustainable Nanotechnology Organization in 2014 and is the recipient of a National Science Foundation Faculty Early Career Development (CAREER) Program Award. She runs a NSF-funded research experience for high school teachers and is the main advisor for the UH chapter of Women in Engineering. She also serves as an advisor to WAVVE, although she has no plans to leave teaching and research for the business world. "I love research," she said. "I like to be with my students. I think I can make a difference from here."